LISETVILLE, 1890 -- Murders are committed; homes are burned; family secrets are buried; an unexpected romance complicates lives. Amid the mystery and violence, a vigilante brigade emerges to administer justice. Flowing through the intrigue and drama is a dark undercurrent that will touch your heart as you empathize with the victims. Telling readers why I wrote the book introduces a spoiler, so I can't share that. The heroine, a woman of the late 19th century, pens her most intimate thoughts via a series of diary entries. I want readers to finish the novel with a feeling of purpose. It tackles sensitive social issues of the time, some of which still exist today. My original concept for the book had a completely different male protagonist. Partway through, I realized that a rewrite was needed. The result was just what the plot needed. My husband was very helpful with suggestions. This was the first time I used him as a sounding board, and he is providing excellent feedback for the second novel in the series, "Retribution of Owen". Kathy Steinemann won provincial public speaking and writing awards during her early years, wrote the school news column for the community paper, and was a regular contributor to her high school newspaper. 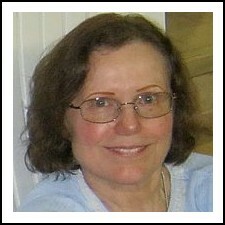 Her career has taken varying directions, including positions as editor of a community weekly, computer-network administrator, and webmaster. She has also worked on projects in commercial art and cartooning. 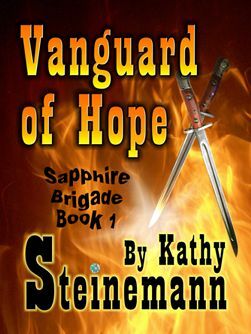 "Vanguard of Hope" is Kathy's tenth book.